Can openers come in all makes and models. How do you know which one is right for you? If you are looking for a home opener that hits a homerun, you’ve come to the right place! Houseware Warehouse offers a wide array of can opener choices. A lot of folks actually opt for more than one can opener – an electric can opener, as well as a manual can opener. Both are nice to have. Electric can openers tend to just make can opening quicker and easier, while a manual can opener can be used when you don’t have electric – like during a hurricane or while you are camping, and they are portable. That being said, let’s take a look at some can opener options. 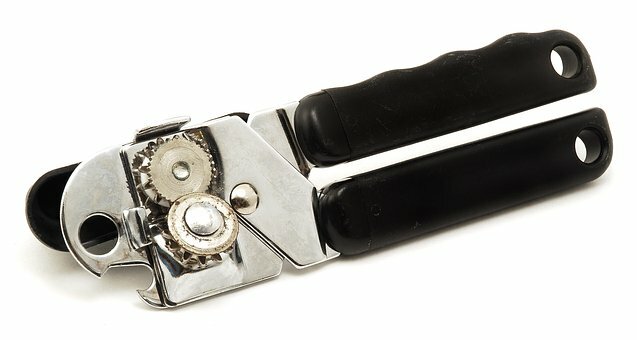 There are old fashioned manual can openers with or without a corkscrew and/or bottle opener, souped-up manual can openers with fancy grips and easy turn cranks, manual wall-mount can openers, electric can openers and wall-mount electric can openers, compact can openers, safe edge can openers. There are even tab can openers for people with big fingers or those who don’t want to ruin their manicure. Open wide! The kitchen doctor is in! Houseware Warehouse CAN make all of your kitchen prep easier. Visit housewarewarehouse.net to browse through our online catalog and our enormous inventory of affordable, high quality kitchen supplies.